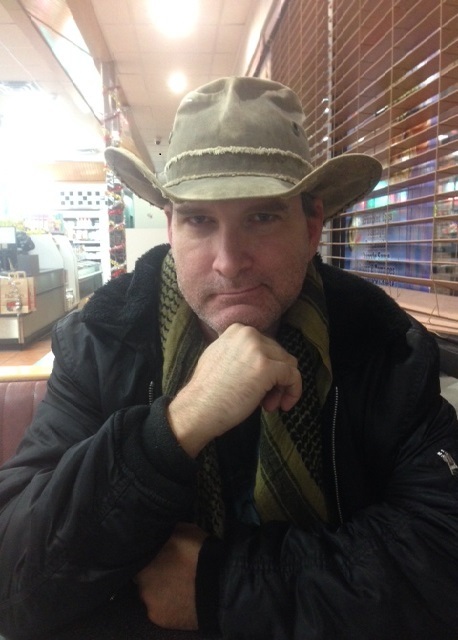 T. Mike McCurley lives in a suburb of Oklahoma City, occasionally banging out superhero prose on a battered laptop. His stories of the ‘Emergence’ – a worldwide explosion of metahumanity beginning in 1963 with a scared little girl – were first published online in 2004. 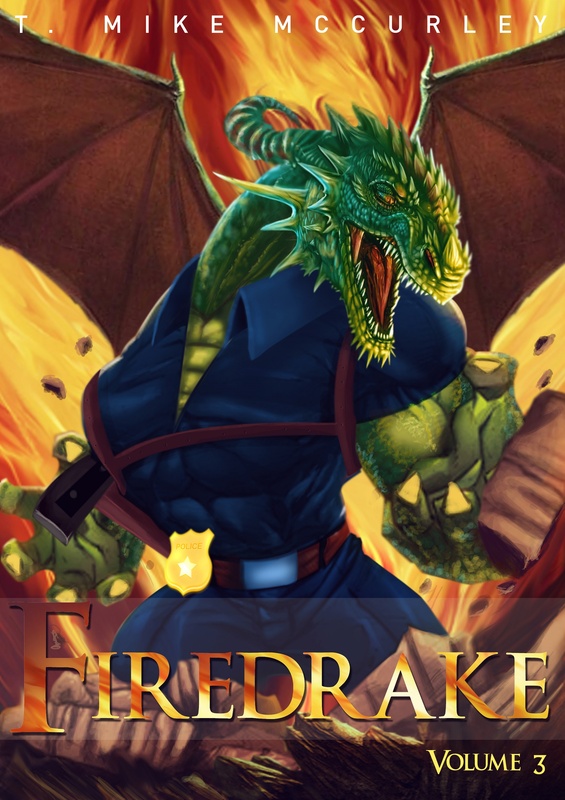 From them came the character of Francis Drake, an Emerged cop born in the form of a humanoid dragon. The stories of ‘Firedrake’ first saw light online in 2008 and spanned numerous chapters, eventually becoming a series of books. The Adventures of Jericho Sims stem from long-ago discussions and have at last seen the light of day! Jericho Sims is a cursed gunslinger in a wandering search across the American Old West as he seeks the demonic doctor who killed his comrades. Paranormal and supernatural events and creatures assail him on all fronts, and Jericho finds himself drawn deeper and deeper into a world he never knew existed. T. Mike McCurley’s smaller, unaffiliated short stories have been published on various sites, and some of them are now available for perusal at www.tmikemccurley.com. T. Mike McCurley did me the honor of visiting my blog and the result was one of the most entertaining interviews ‘A Book And A Cup Of Coffee’ has ever hosted. Who exactly is T. Mike McCurley? “Well, I just released Book 2 in the Adeventures of Jericho Sims. 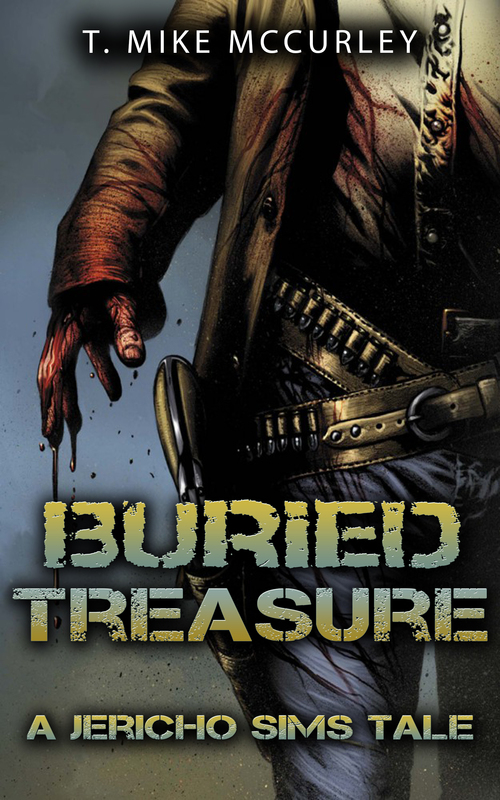 “Buried Treasure” sees Jericho in a race across Oklahoma Territory as he tries to recover a Native artifact before the creature it controls manages to stop him…the hard way. “The sky is the limit! It’s my intent to drop a few more Jericho Sims stories while I work on the novel. Let people come to know the man and follow his story. The short stories are litle snacks, and then the novel will be a full meal for fans. There are two additional Firedrake novels on the horizon as well, so folks who like the big guy can relax. I haven’t shelved him! Rest assured, folks, that I am just getting started. What you see now is but a sample of what is to come.